This germicidal bleach from Clorox is a powerful concentrated formula that cleans, disinfects and deodorizes a number of surfaces. This concentrated germicidal bleach is effective against E. coli, HIV-1, salmonella, staph, TB and hepatitis A, Clorox is the number one choice for hard surface disinfection. Clorox is ideal for sanitizing and disinfecting washrooms, shower stalls, toilets, counter tops, food prep areas, plastic toys, tools and virtually all nonporous surfaces in your home or business. 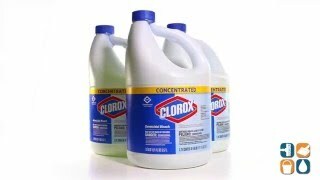 The new compact size with higher concentraion means less plastic, water and energy are consumed to manufacture, ship and store new Clorox Germicidal Bleach. 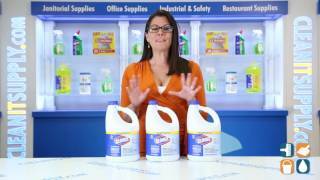 Clorox Concentrated Bleach complies with OSHA Bloodborne Pathogens Standard and is recommended by the CDC guidelines to disinfect contamination caused by hard-to-kill pathogens like Norovirus. Ultra Clorox Bleach meets FDA guidelines for sanitizing food-contact surfaces and is an excellent all-around cleaner for a wide range of applications. 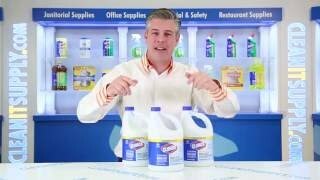 Clorox Concentrated Bleach is ideal for homes, hospitals, restaurants, daycare centers, schools and many more locations. Keep your environment healthy and safe for family and employees. Awesome for disinfecting if you have dogs.